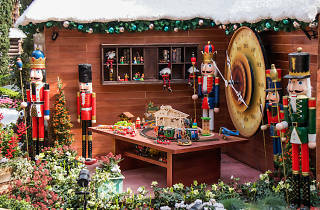 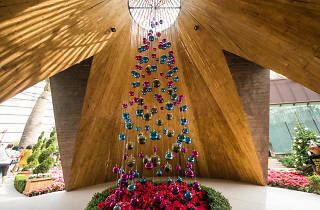 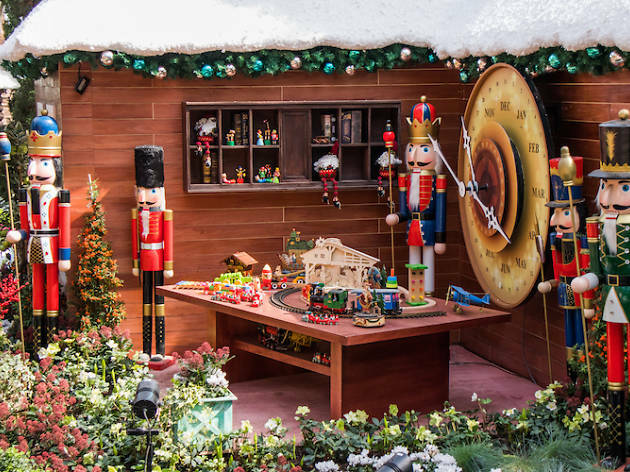 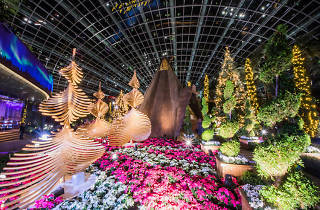 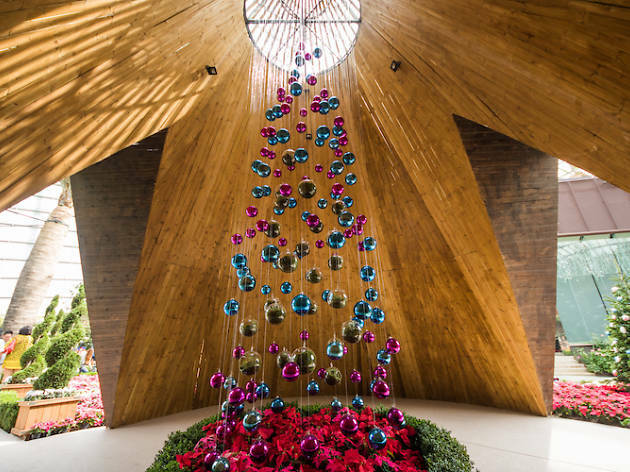 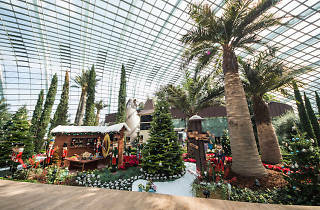 See Gardens by the Bay's Flower Dome transform itself into a magical Nordic winter wonderland featuring massive floral installations of poinsettias, amaryllis and of course, Christmas trees. 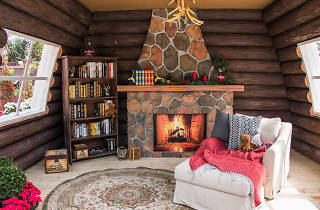 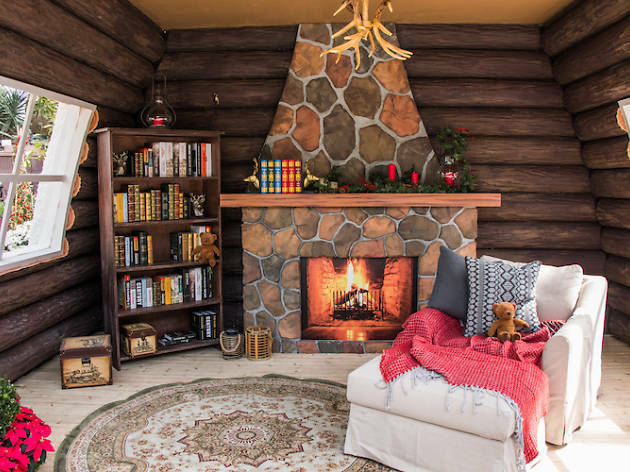 Get cosy under a lavvu (a type of tent used by the Sami people from northern Scandinavia), or sneak a peek into Santa's reading cabin and toy workshop. 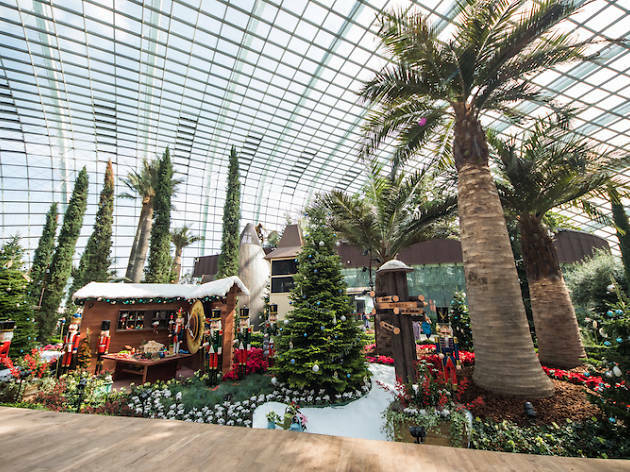 During the month of December, visitors might even get to meet Father Christmas and his elves making their rounds. 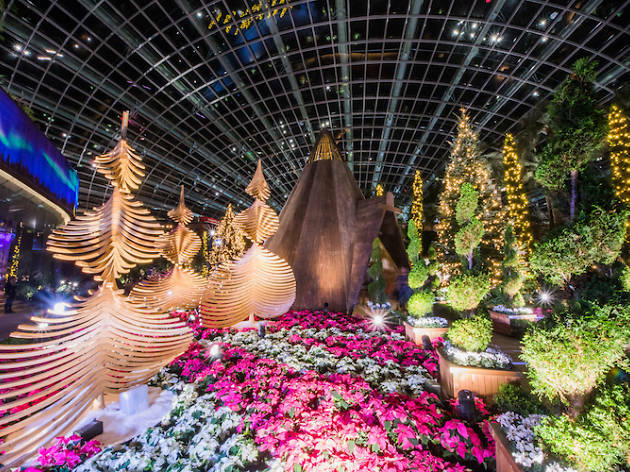 Pro-tip: visit the conservatory after dusk and you'll get to experience the 'Northern Lights' right here on our tropical island.